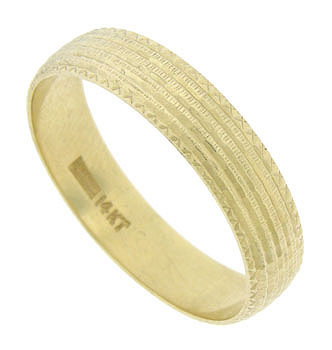 This handsome 14K yellow gold estate wedding band has deeply impressed ridges etched with fine engraving. The edges of the band are finished with decorative crosshatching. 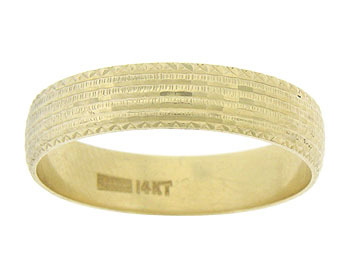 The wedding ring measures 4.07 mm in width. Circa: 1950. Size 11 1/4. We cannot re-size.